Everyone knows that beauty requires effort, but unfortunately I take after D, and am therefore both terribly lazy and terribly vain. It is a curious affliction. On one hand, I've amassed a huge beauty arsenal because I'll see some new-fangled lotions and potions, and think "Oooh, my skin probably needs this!" On the other hand, when the time comes to actually apply most of these products, I'm half-asleep. I keep figuring I'll get round to it tomorrow, maybe. It doesn't help that the latest beauty rituals take so bloody long. All those 10 to 20 step regimens sound so good in theory, but who has the time? Having to lovingly pat each product onto your face a hundred times for maximum absorption and efficacy? Insanity! Mornings of course, are the absolute worst. If I got up earlier, I'd have the time to wash my face and moisturize properly so my makeup won't become an oily slick and slide off halfway through the day. I'd also have long enough to massage in eye cream in the hope that people will stop telling me how tired I look. But if I got up earlier, I'd actually feel more tired. 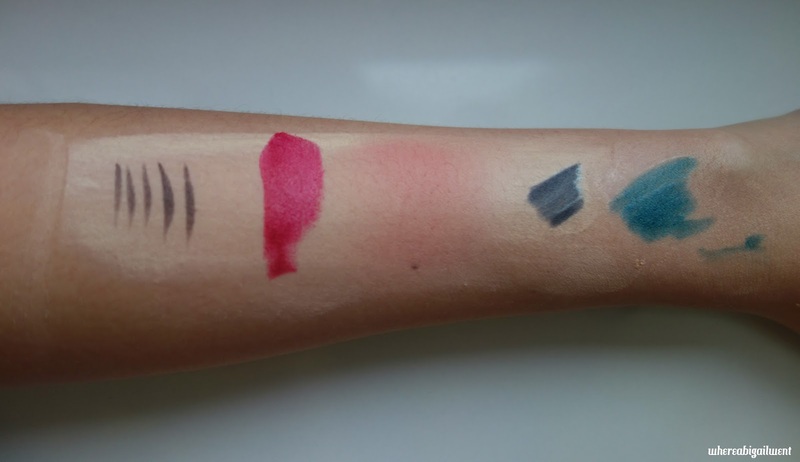 In the first beauty bundle I received from Wonect, I found a genius solution to my problems. 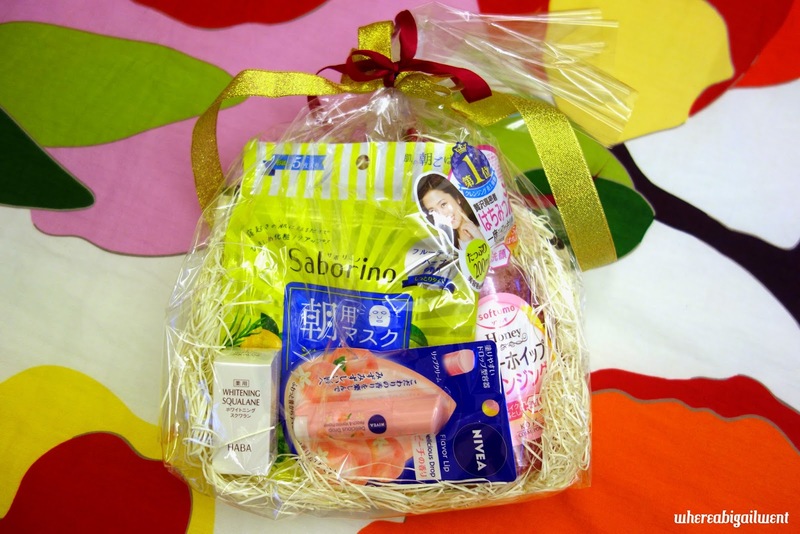 Saborino Morning Face Mask is a product that made its debut in the Japanese market just last year, but it's already become massively popular. Everyone loves a two-fer, for instance classic hydrating primers like Illamasqua's Hydra Veil, but this sheet mask does one better. The Saborino Morning Mask bills itself as breakfast for your face, and it's a three-course extravaganza that combines a cleansing function with what they dub a 'skincare routine', and a makeup primer base. All you have to do is pop the mask on for 60 seconds in the morning, and let it work its magic. Is it, you ask, too good to be true? I wondered the same myself, and to test it, I stuck the pack of five masks by my bedside table for a whole workweek. The first thing that stuck me was how remarkably easy it was to fish a sheet out of the resealable pack each day. After I hit snooze, I didn't even have to open my eyes much. 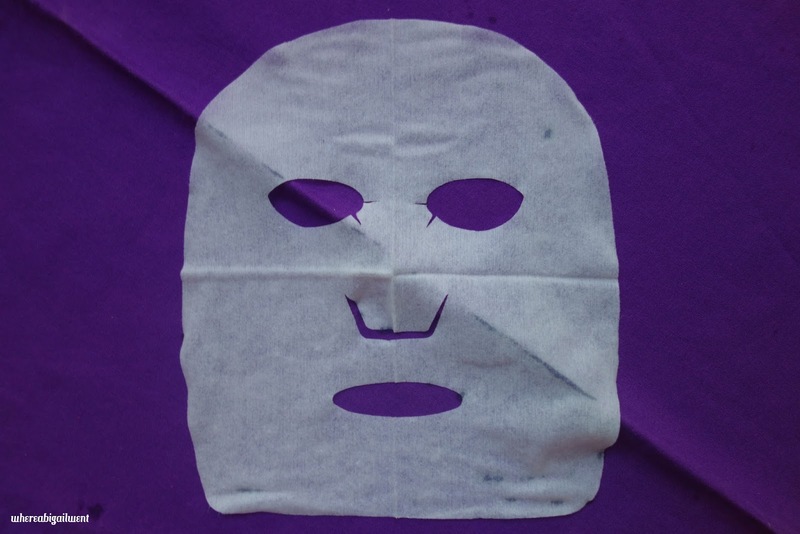 Most other sheet masks I've tried are delicate, flimsy things that bunch up all too easily, but these were surprisingly sturdy. Once you unfold it and figure out which way is up, the only thing left to do is place it firmly over your face and smooth the edges down. The recommended time to leave it on is just a minute, but I wound up snoozing with the mask on a couple of times and was no worse for the wear. With a fragrance I'd describe as citrusy, minty, and herbaceous, it's something absolutely refreshing to wake up to when you finally emerge from that extra five minute nap. The Saborino Morning Mask is also non-sticky, so you can skip directly to the part where you slap on your make-up for the day. The Saborino Mask isn't something that you can find in Singapore stores just yet, but if you're the pioneering sort, and want to be among the first in the rest of the world to try it, it's available on Wonect. An online retailer based in Kyoto, Wonect ships Japanese products internationally. It all started when a Japanese gentleman by the name of Kota Mizuguchi decided to realize his dream of connecting disparate communities around the world. You know the fact that there's enough food to feed everyone in the world, if not for pesky issues like politics, logistics, and a lack of knowledge? Mizuguchi was so moved by a documentary on this very issue, that he quit his job and tried to devise a means to help plug international gaps between demand and supply. He started very simply in 2014 with what he knew, which was Japanese digital cameras, and began selling them to Singaporean customers under the company Dreambook. 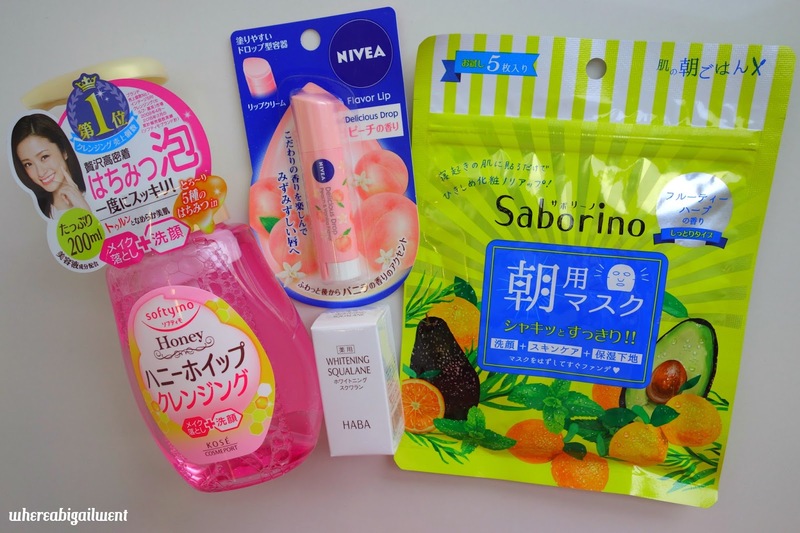 Business took off, and since Singaporeans like Japan and Japanese products so much, requests came in for him to sell even more things, especially in the beauty realm. Wonect, which stands for "World Connect", started recently as a newly formed business entity from which Mizuguchi moves ever closer to accomplishing his goals. The man's a visionary and a real global citizen who's seen a problem and is trying to solve it. You have to give him massive props for that. I'm one of five Wonect Starlets across Asia, who'll be showcasing some of the best Japanese products on the market over the next six months, courtesy of Wonect. I found out about it on Reddit, which is also where I found my fiancé, so I have a pretty good feeling about the whole project. 3-in-1 Morning Mask aside, my August kit came with 3 other products that are pretty swell too. I've been using the Softymo Honey Whip Cleansing Foam in the evenings, to get rid of trace makeup. Formulated with five different types of honey (Lavender Honey, Damask Rose Honey, Wolfberry Honey, Orange Blossom Honey and Lychee Honey), it has a naturally sweet scent that reminds me of a fruit parfait. Made by the beauty giant Kose under their Cosmeport umbrella, it comes under the Softymo line of cleansers, which have a reputation of being effective, but not unnecessarily harsh. 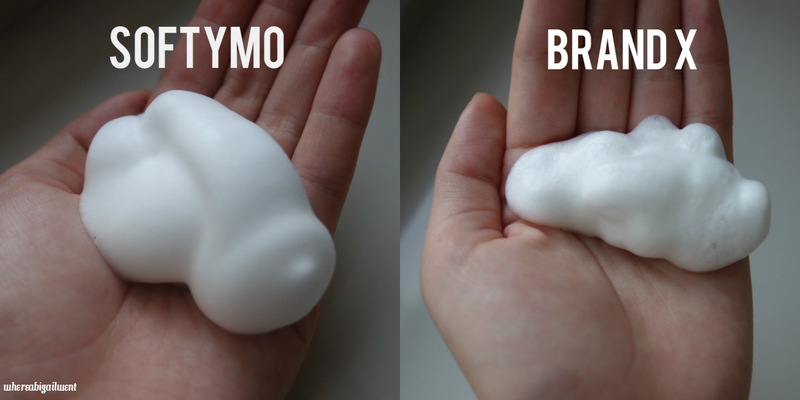 The bottle is designed to dispense a nice fluffy blob of foaming cleanser, and I have to say that the texture is absolutely amazing: surprisingly lush and luxurious for such an affordable product. Sometimes when you look at clouds, do you ever forget everything you know about science and think to yourself "That would feel so nice to touch"? I do, and the Honey Whip Foam feels exactly how I imagine clouds ought to: soft and yielding, spreading across your face with ease. There's also a pleasing denseness to it when you first pump it out, unlike some other brands that get a little bubbly and runny from the get-go. Most Japanese beauty publications recommend that you do a double-cleanse at the end of the day, with actual makeup remover, and then a dedicated cleanser. Products like Shu Uemura's range of Cleansing Oils and the Softymo Foam Cleanser purportedly help you cut out a step by getting both things done at once. I've actually bought into the wisdom of a double cleanse, mainly due to the fact that I have ridiculously oily skin, and like to use makeup that's fairly stubborn. You can clean it off, yes, but it won't go gentle into that good night. Here's a little experiment to show you how the Honey Whip Cleanser stacks up against some of the products I use regularly. I layered some of Shiseido's Synchro Skin Lasting Liquid Foundation (Currently a shade I'm a little too tanned for), with a dab of Urban Decay's Naked Skin Weightless Complete Coverage Concealer. On top of that, I sketched on a few strokes of the Flow Fushi Mote Liner in Black-Brown, MAC's Marilyn Monroe Lipstick (Super pigmented and lasts forever), Illamasqua's Long Lasting Matte Powder Blusher in Hussy, Za's Gel Liner, and Estee Lauder's Double Wear Stay-in-Place Eye Pencil in Forest Green. As you can see, a few seconds after initial contact, the cleanser was already working away at some of the pigment. Wonect suggests 3 to 5 pumps for your whole face, so to the initial three pumps I added two more halfway through. After a thorough scrubbing, some traces of colour still remained. For heavy-duty makeup, the Honey Whip isn't going to cut it alone. Used as a complement to make-up remover however, it's a really nice cleanser. Free from colourants, parabens, mineral oils, silicones and ethyl alcohols, you won't get that overly tight feeling you might experience with harsher cleansers here. Instead, my skin always feels surprisingly soft and hydrated after using it. There's something to be said for honey cleansing - this is just a much less messy alternative. Like Kit Kat, Nivea is a global brand, but all their best flavours can be found almost exclusively in Japan. 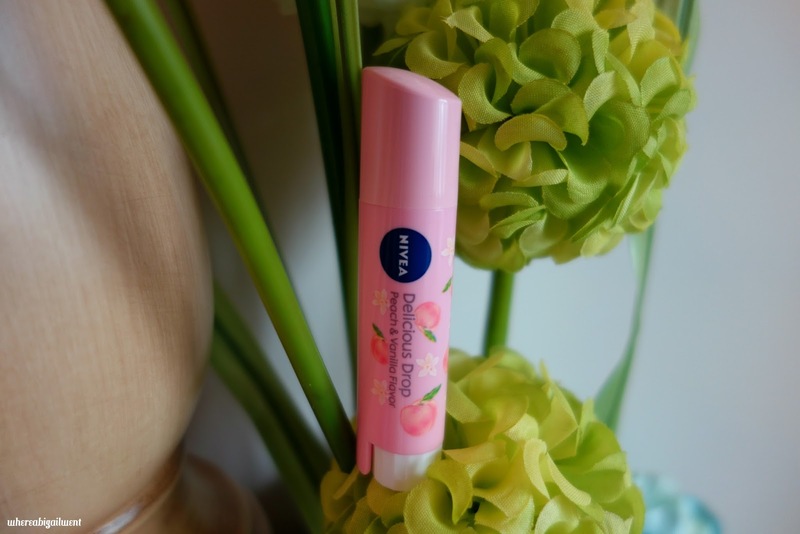 The Nivea Flavor Lip Delicious Drop in Peach is lip smackingly good, with an alluring hint of vanilla. The moisturizing properties come from a blend of olive oil and plant-based squalane, and it's definitely stopped my lips from cracking so much. I use it in the day because the lip cream comes with SPF 11, providing some degree of UV protection. The droplet-shaped tube is extraordinarily handy as well for navigating the contours of my lips, from cupid's bow to the narrow inner corners, without overflowing onto the skin around my mouth. It's a neat little solution, and one that save me the worry of having to swipe away little smears of grease. I've saved my favourite product for last. 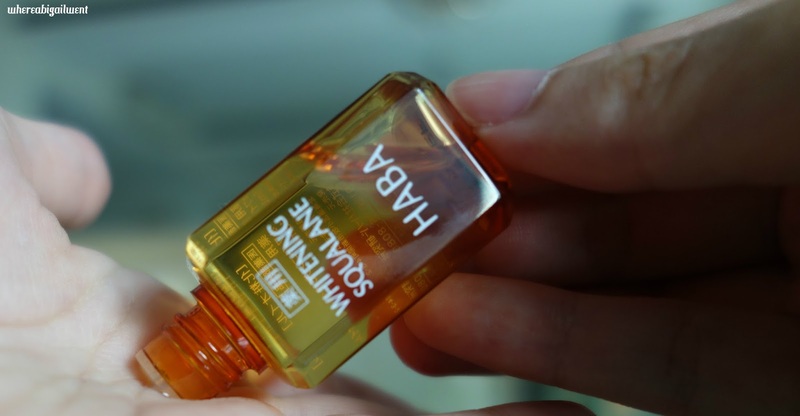 The HABA Medical Whitening Essence Squalane doesn't look like much at first, but this tiny bottle packs a punch. You just need to apply a drop or two to your skin each night, so the 30 ml bottle can last you easily half a year. 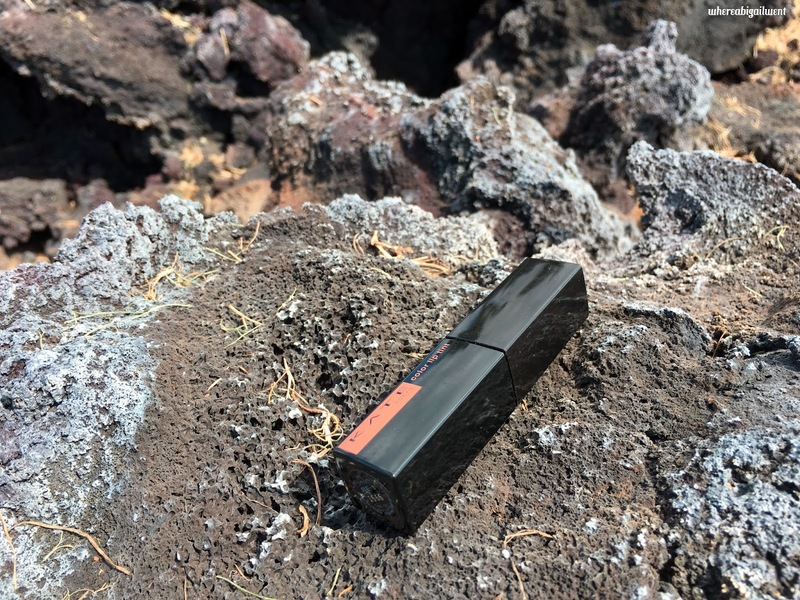 Non-comedogenic and fragrance free, the squalane is like an oil, but when gently pressed into your skin, it absorbs almost immediately. No oily residue or feeling at all. HABA has a few different squalane-based products, and what differentiates this whitening essence is the addition of some Vitamin C, hence the coloured bottle to ensure less light gets through and oxidizes it. I like having a little golden glow from the sun, but I'm dreading the inevitable curse of pigmentation that comes with old age and UV exposure. Prevention is better (and cheaper than!) cure, and non-irritating whitening products like the HABA squalane help mitigate some of the worst excesses of my frolicking outdoors. I rub it between my palms at night and cup my hands firmly over my face for a few seconds, feeling safe in the knowledge that the squalane will work its way into my skin come morning. Someday, I'll develop better beauty habits, and hopefully get round to using my hoard of serums and moisturizers. Till then, I'm glad Wonect has armed me with products that'll help in a pinch, perfect for lazy girls like me. I'll be back in September with a whole host of brand new things to share. In the meantime, click here to check out the rest of the products that the other Wonect Starlets are featuring this month. If you'd like to try any of the really effective products I've reviewed, Wonect is very generously offering a discount. From the 3rd to the 8th of September 2016, you can use the Wonect Coupon Code ABIGAIL<3 to get 15% off - no minimum purchase required.